There are several rosettes there. They could be grown like this? This species naturally suckers and forms a plant with several crowns. Of course it is possible to cut suckers and pot them as separate plants. Once the plant becomes a bit large for me, I cut it up and give away left over crowns. If you are interested: after the frost, no problem! It can be a very floriferous plant but individual flowers don't last long. I am interested. We don't have it here. I would be interested, too. There are hardly any primulinas seen here in Germany. would be nice to make them more popular. In about two months I can send them, right now we have frost & snow. Not sure if there will be two suckers, but some leaves will definately not be a problem. Primulina linearifolia will take longer because it has to regrow first. Oh my god! This is creazy! I would be very surprised if it is! My L. socialis stayed under my bed for two years without soil or water and it's still alive. Great plant Paul, lovely lavender waterfall. Looks OK, but I think that it can have more light. I have mine in the baking midday sun (indoors). They can handle much more light than violets and I think that a lot of light will stimulate flowering. 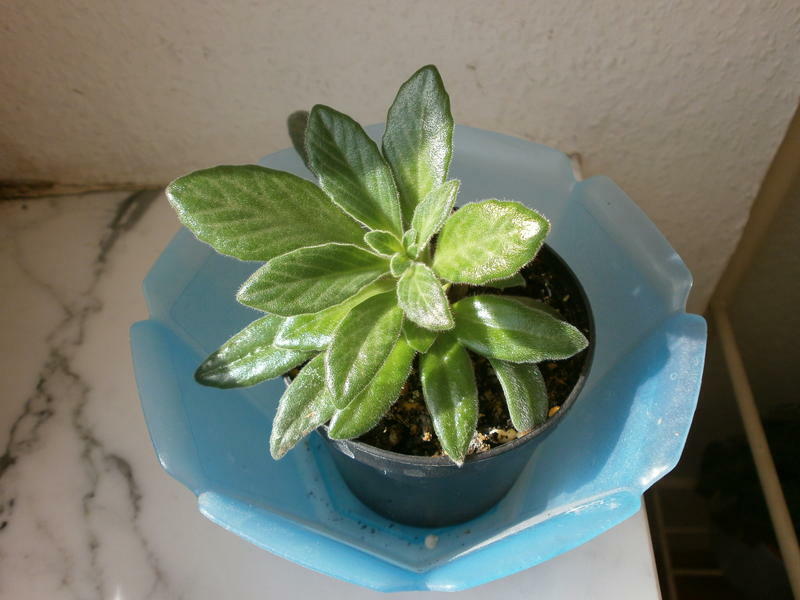 They are also rather resistant to dehydration, so don't worry if the pot gets warm from the sun. Mine is flowering non-stop for the last 2 months or so. Not a "wall of flowers" now but some flowers all the time on different sides of the plant. the difference is that I turn the pot every few days now, so the whole plant is more symmetrical. 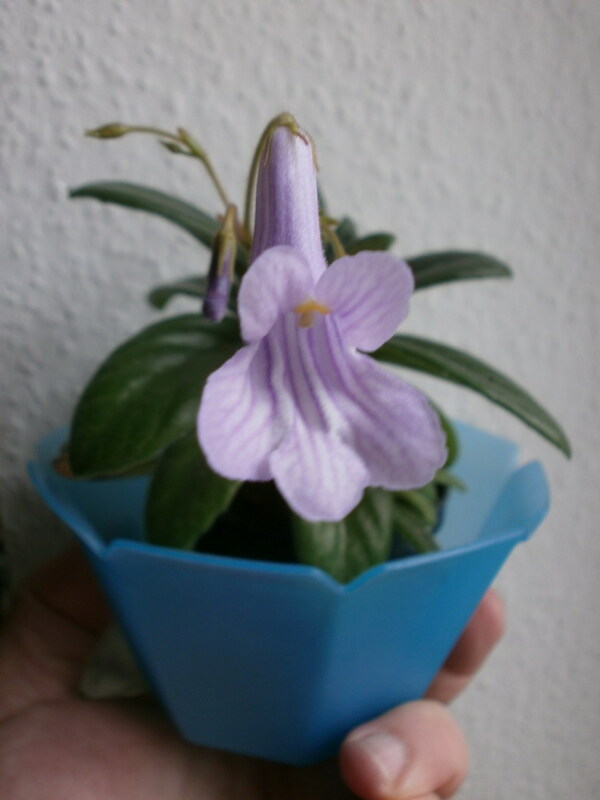 Yes, the plantlet had too little light in winter. I have moved it to a window sill now and the light will be better. And I have moved all my chirita and kohleria into the room that is warmer than the other rooms - the african violets suffered a bit there. So now the more hardy ones are in the warmer (and dry) room and the other in the cooler rooms. 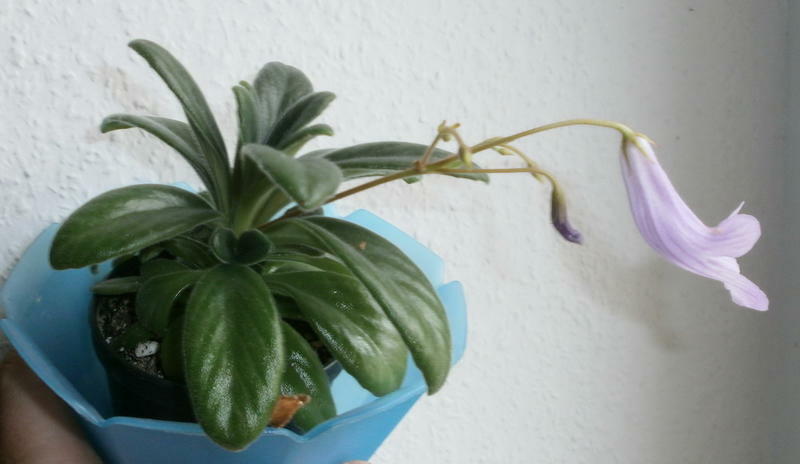 It has thin roots, comparable to those of an African violet. Personally I would not call this a rhizome, but the diameter looks correct I will check next time when I repot it if there are internodes.